Reviews - You can’t deny the voice of the people. We sift through reviews from each tier on these shoes, which led to a lot of them not making our list. Design - Even if you’re getting these for function, flair is also a key element. Nobody intentionally buys an ugly shoe. We picked from some of Reebok’s classic designs, and kept the mix nice and fresh. Quality - Reebok is synonymous with quality, but every company has their darker chapters. We paid special attention to those series that didn’t really hit-off all too well with Reebok customers. Weight - Made for performance, built to increase endurance. The weight of your shoes may not seem to matter, but if each kick is a pound, then do this: put a one-pound ankle weight on each leg, and just try walking around. Even though the weight is more evenly-distributed with your shoes, it’s still going to impede upon your performance. Choose wisely. Fit - Reebok shoes were originally made for athletes, and fit like an athletic shoe. This means a little less toe wiggle room, a little tighter near the ankle, and laces that can really buckle down. If you want a loose-fitting shoe, it’s going to be a challenge. Color - Reebok sticks to pretty simple colors and low-viscosity dyes, but it’s not a free pass. YOu should always inspect the vibrancy of the color and associated dyes, so you can understand how to better clean or seal your shoes. Color will also affect light/heat absorption or retention. Comfort - This depends on the insole, outsole, arch support, and the cushioning provided in various parts of the shoe interior. If it’s not comfortable for your expected use, then it’s not worth your time; we made sure that wouldn’t happen with our list. Insole - This is about comfort, but it’s also about support. If your insole isn’t supporting you, then it’s not doing its job in the slightest. 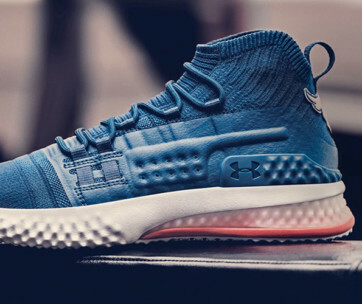 Outsole - While most of these will be made of rubber, the outsole is important for proper traction, durability of the shoe, and helps repel the dangers on your running path. Cushioning - Comfort is key. 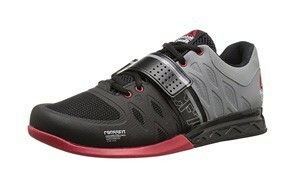 Even if it’s just helping you between the gym and home, you don’t want an uncomfortable shoe. It’s going to mess with your stability. Cushioning on the heel, tongue, and insole are what you want. Sock Liner - Not every Reebok is going to come with a sock liner, but they’re absolutely critical for performance. If you’re running, hitting the gym, pushing your limits, you need to reduce sweat and odor production. That’s where sock liners come in (more on this further in the guide). Arch Support - One of the most undervalued parts of a shoe: arch support is something you don’t miss until you realize you don’t have it. If you play hard, your support needs to work just as hard. Proper arches are the fundamental of why we wear shoes in the first place. Material - Reebok has been known to use mesh, synthetic fibers, leather, and everything in between. With a company history of sixty years, they’ve dipped their feet in every pool. This comes down to preference and intended use. 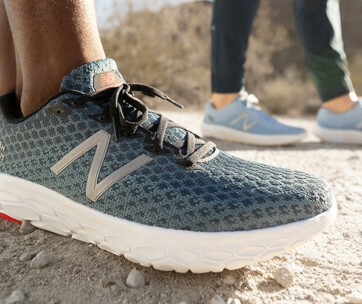 Lighter, more agile materials are better for exercise and fitness, while leather and canvas would be better for everyday wear. Waterproofness - Mother Nature can be unforgiving. If you’re on a run and the rain picks up, you’re finishing that run, because that’s how you play. Having some good waterproofing is key to keeping moving through unexpected detours. If your shoe doesn’t come with waterproofing, you can grab an excellent shoe waterproof spray and apply it. Breathability - This refers to how much air flows into and out of a shoe when you step or walk. Since Reebok is primarily focused around athletic wear, for professional athletes and gym buffs, they aim to help cut down on sweating and fungal bacteria growth. Breathability is everything in a performance shoe. 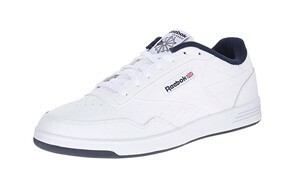 Expected Activity - If you’re looking for casual kicks, Reeboks will last you a lifetime. 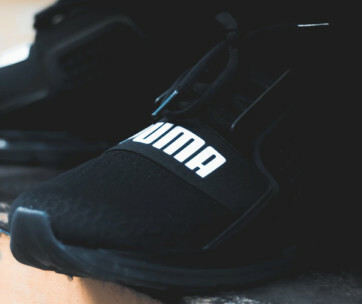 If you want something a little more designed for running, guess what? 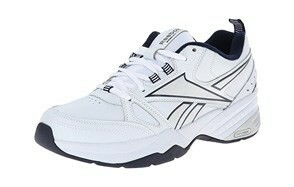 Reeboks are what you want to be looking for. Take a look at your anticipated use, and as long as it’s not for work, these shoes will be a perfect match for you.